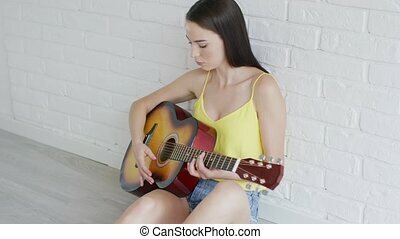 Attractive woman near wall. Attractive woman in black jacket and soft gray scarf leaning her head on brick wall on sunny autumn day. Attractive woman in black jacket and soft gray scarf leaning her head on brick wall on sunny autumn day. 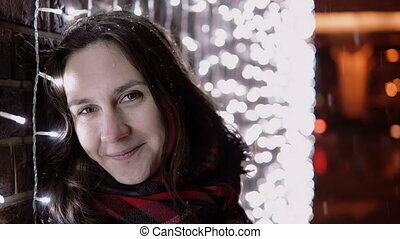 Attractive smiling woman with gray hair posing for camera while standing near white perforated wall. 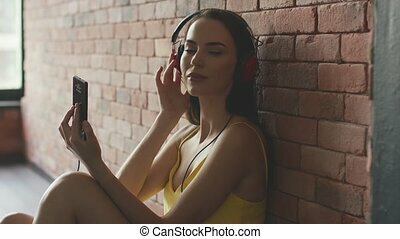 Pretty thoughtful woman standing near perforated wall with illumination while keeping her hands near her face. 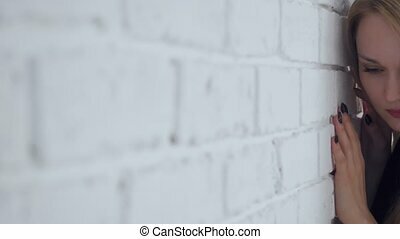 Yound beautiful sad woman posing near white brick wall in the room. 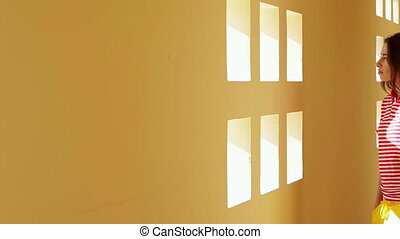 beautiful brunette young woman standing near white wall with small windows. 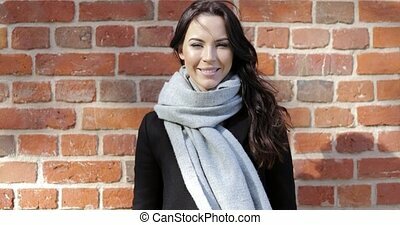 Pretty happy-looking woman in soft gray scarf leaning her head on brick wall in sunny autumn day. 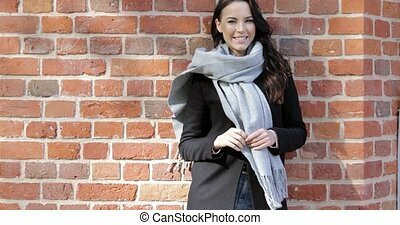 Pretty smiling woman in black jacket and soft gray scarf standing in front of brick wall on sunny day. Attractive woman in black jacket holding blue umbrella and walking near pond on rainy autumn day. 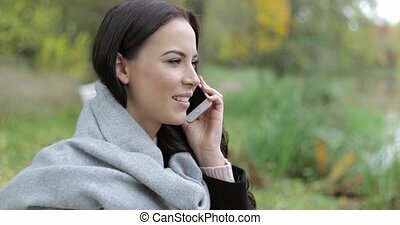 Beautiful woman in black jacket and soft gray scarf leaning on brick wall on sunny day and smiling for camera. 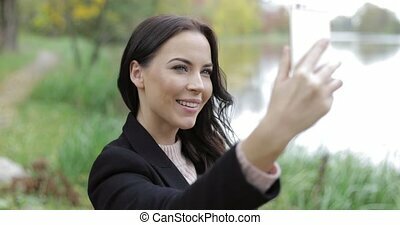 Pretty woman in black jacket posing and smiling for camera during her walk in beautiful autumn park. 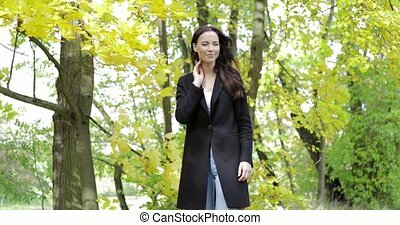 Attractive sad woman in black jacket feeling cold and keeping her arms crossed while walking in autumn park. 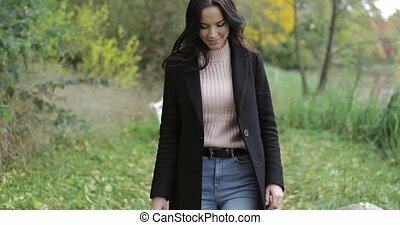 Attractive woman in black jacket and polo-neck shirt happily smiling during her walk in autumn park. 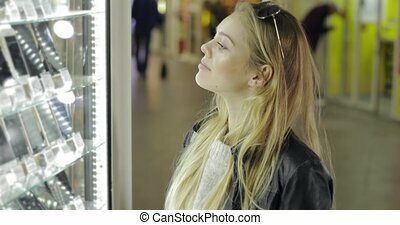 Attractive young woman standing near glass-case with smartphones, choosing one for herself and smiling.